Thomas & Mercer, 9781503944633, 518pp. 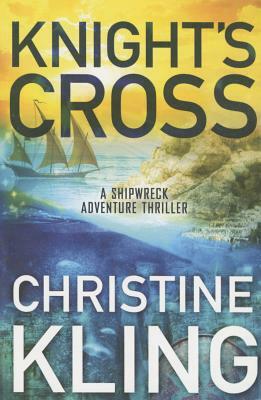 Shipwreck hunters Maggie Riley and Cole Thatcher are no strangers to the mysteries hidden beneath the seas. They've uncovered artifacts with secrets that powerful interests would do anything to control--and they're about to do it again. As the newly engaged couple prepares to set sail, Cole suspects they are being followed. While he tries to unravel a coded message that hints at a treasure jealously guarded by an ancient society, a bomb is discovered on the couple's yacht. Now it appears that Cole's belief isn't mere paranoia--and that the cipher holds information others will kill for. From a sunken submarine off the coast of Tunisia to the hallowed halls of the Vatican, can Riley and Cole outrun a ghost and save a manuscript that could rock the foundations of history?